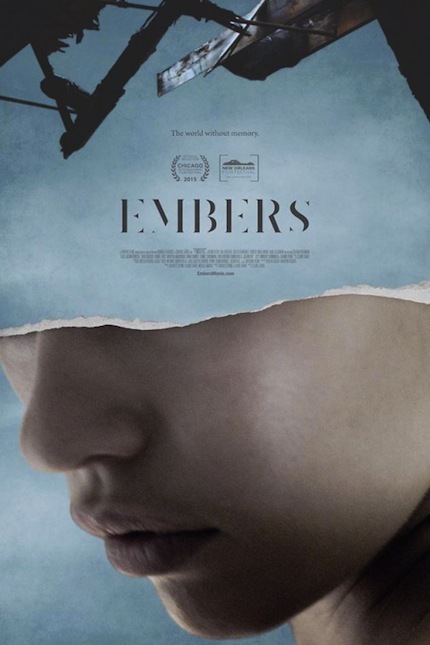 Embers, Claire Carré's philosophical science fiction film, added to its awards caché this past weekend at the Trieste Science+Fiction Festival, winning the Asteroide Award. I was proud to be on the jury, along with Pedro Suoto from MotelX, and film critic Mauro Gervasini. In his review, Ben Umstead described it as a film "that reaches deep inside humanity, inside our collective soul (a collective history beyond memory), searching for that basic instinct, that inherent self beyond self." The physical award is created each year by a local artist, making it even more memorable for the filmmakers. Other notable award winners include Under the Shadow, which was given the Web Critics award from Italian film journalists; Sum of Histories, which won the Méliès d'Argent for Best European Fantastic Feature Film; and Moonwalkers, about the making of the 'faked' moon landing, which won the Audience Award. I Am Not a Serial Killer won the Nocturno Nuove Visioni Award, "for the unusual combination of dark humour, horror and coming-of-age story", and Italian film Monolith was given the CineLab jury's special mention for outstanding Italian production. The full list of winners is listed on the festival's website below; complimenti a tutti! ..GREAT film - if you like your cinema thoughtful and Intellectual. ...Impressed by Ms. Claire Carré' as well.. Very Enjoyable exchange / albeit quite brief..
Glad to hear you enjoyed EMBERS as much as you did. And indeed, both Claire and her co-writer/producer Charles Spano are exciting folks to talk to.